See how we can offer an affordable, single-source solution by providing you access to our world-class friction welding machines to accommodate your applications. Our knowledge, friction welding capacity, and locations in the United States and the United Kingdom combine to provide you with the best value for your investment. We work together with you to help you solve your manufacturing problems and achieve your production goals. So we provide you with complete access to our engineering expertise, and consult with you from day one through the production of your parts. Innovative. Genuine. Continuity. For four generations, Ingenuity has been the engine that drives MTI to achieve extraordinary success in solving our customers’ most difficult manufacturing problems, always with an eye on them achieving stellar ROI. We listen closely to you and your concerns. That allows us to design and manufacture the correct tooling to quickly and properly friction weld your parts, and to show you how our production process know-how benefits you in every part we make. Get your new part to market faster than the competition. Partnering with us offers many benefits, like our Parts Assurance Program. We can keep your tooling warm, build your parts while your machine undergoes scheduled maintenance, is on order, or if you need extra production capacity and manage your complete parts supply chain. Supply Chain Management: Think of MTI like a supermarket. We serve as a one-stop shop for all your joining needs so that you don’t have to go through the trouble of ordering, shipping, and storing materials. You can even provide us with a material, and we’ll ensure it’s correct from a metallurgical standpoint. Metallurgy: Our Chief Metallurgist has decades of experience. While dissimilar materials can bring concerns when it comes to forging, MTI knows the necessary steps to take beforehand. MTI’s Process Engineers work with the in-house metallurgists to develop the weld procedure so that optimum conditions produce optimum joint strength. Infinite Post Weld Processing: From final stress relief to final machining, MTI’s new 117,000 square foot facility has the capacity to accomplish your needs. Shipping the Finished Product :To keep the process seamless, MTI also manages testing logistics and then ships the finished product to you. MTI even handles the paperwork so that you don’t get held up at customs. Ongoing support services: Get your new part to market faster than the competition. Partnering with us offers many benefits, like our Parts Assurance Program. We can keep your tooling warm, build your parts while your machine undergoes scheduled maintenance, is on order, or if you need extra production capacity and manage your complete parts supply chain. Your partner and advisor: We work together with you to help you solve your manufacturing problems and achieve your production goals. So we provide you with complete access to our engineering expertise, and consult with you from day one through the production of your parts. We ask the right questions: We listen closely to you and your concerns. That allows us to design and manufacture the correct tooling to quickly and properly friction weld your parts, and to show you how our production process know-how benefits you in every part we make. Ingenuity: Innovative. Genuine. Continuity. For four generations, Ingenuity has been the engine that drives MTI to achieve extraordinary success in solving our customers’ most difficult manufacturing problems, always with an eye on them achieving stellar ROI. Our dedicated team of experts work with you to analyze every aspect of your process – and develop a solution tailored specifically for your requirements. From the friction welding technology we use as the base for production, to pre-weld (cutting, machining, heat treat) and post-weld (weld flash removal, turning, milling/ grinding, heat treat) processing, we manufacture parts that meet your company, industry, and quality standards. And, we have the certifications and experience to support it. Explore new applications and markets without a large investment in capital equipment by having us optimize your development and production process, without the extensive, expensive, and time-consuming trial and error of going it own your own - make the transition from prototype to full production a smooth one. You can save time and money while also reducing the number of steps to reach your production goal by taking advantage of MTI's design experience in the prototype stage. We know what works and what doesn’t, based on our years of development experience and large portfolio of successfully welded production parts – parts that started as prototypes for a multitude of industries. Our on-staff experts include a Chief Metallurgist with decades of experience. 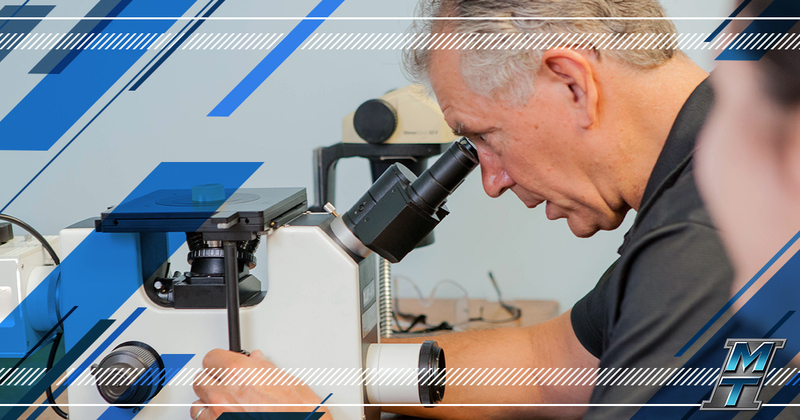 Because of this we offer a full-range of detailed metallurgical testing and evaluations to confirm physical properties of the part and the weld zone. Explore new designs and applications without workflow disruptions in your manufacturing facility. We recommend, design, and prototype unique and innovative solutions to the product development and improvement process that can expose additional savings and technical value to new and existing designs. With our extensive experience and resources, we can produce tooling specific to any application. We offer custom design manufacturing and tooling services, and we maintain a large inventory of Friction Welding fixtures and part-contact tooling for all development and production machines. Plus, by using our existing tooling crib when applicable, we can save you considerable time and money on your project. 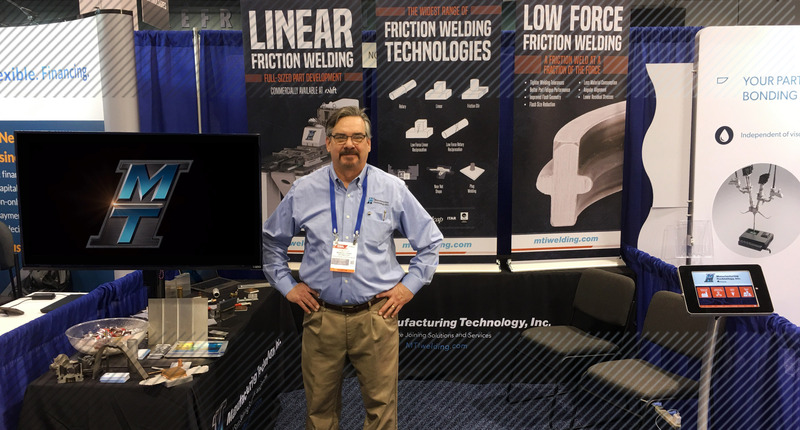 As one of the world’s largest, most experienced friction welding machine builders and integrators, we have the capability to process your parts using the latest in friction welding and part handling technology. Plus, by maintaining the widest range of friction welding equipment available anywhere, we can produce friction-welded parts spanning from the smallest to the largest in the world. And, with the quality and capability you expect. Our production capacity can handle part runs of one to over one million per year. And, your parts can be certified to meet your internal quality and production standards since we produce them on friction welding machines we built. We are certified to the following industry quality standards; ISO9001 & AS9100, Nadcap AS7003. We also hold individual stringent welding approvals from companies such as Hamilton Sundstrand, GE Aircraft Engines, Boeing, and Honeywell. The Model 40 is our miniature workhorse. It’s used to produce parts ranging from super small bimetallic titanium specialty aircraft rivets 3/16” diameter x ½” long, to aerospace satellite heat dissipation tube assemblies 8” long x ½” diameter. This rotary friction welder truly does fit on a table top, but has the force and motion to handle a wide range of the smaller side of parts. One of the longest friction stir welding machines in the world. It’s used for joining flat panels, plates, sheets, or extrusions of varying widths and lengths up to 55’ long, and can be modified for longer lengths if required. 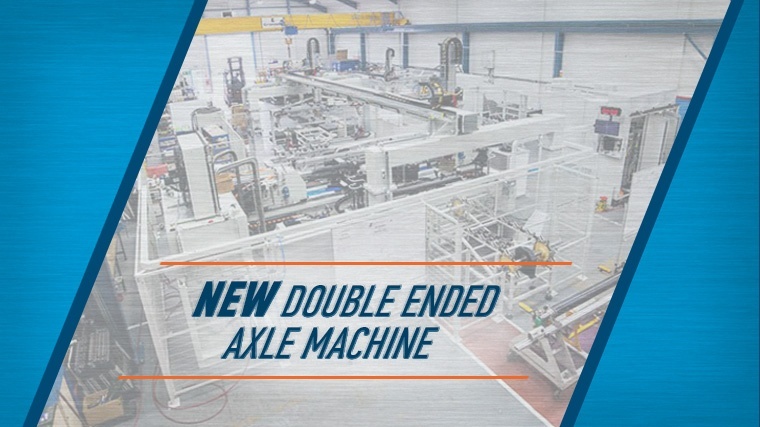 The dual head capability allows for top and bottom welds simultaneously, thereby simplifying production. Ideal applications for this machine include extrusion joining, decking for ships and aircraft, railcar and truck trailer components, and general large-sheet, long-length or wide-width fabrication. This is the machine that changed linear friction welding as the world knew it. Did you know it provided the applications, tooling, and data we needed to design, build, and support the first and only successful true production linear friction welding aerospace machine in the world today? Now this machine can be put to work on your parts. Currently, it has up to a 35-ton weld capacity with full data documentation. This rotary friction welder is big and designed for big jobs. It is the only machine of its kind worldwide with the necessary weld force – up to 450 tons – available for contract friction welding production use. We also maintain a large assortment of tooling for a wide span of weld forces. Plus, the 400 is ideal for “special” higher force large part applications. Complete with our proprietary IntelliStir Temperature Control tooling adapter and pin tools, this friction stir welding machine is used for both production as well as development of a variety of small parts and assemblies. The Mystery Machines & Tooling – What is That? We provide weld development and parts production for a wide variety of industries ranging from aerospace to automotive. Because of this, many of our best designs, tooling, part development, and customer success stories are proprietary and simply cannot be shared. MTI is always using our ingenuity to help customers bond their parts with higher quality, adding value while reducing cost. More often than you may think this translates into our customers gaining a competitive advantage. If you have such a proprietary project, you can rely on our expertise and know-how to develop the right joining solution and part production plan for you. MTI's double axle machine uses the latest advanced rotary friction welding technology to eliminate slow, manual part load. Here are 3 ways this friction welding machine improves axle production for the automotive industry. 2019 is packed-full of trade show visits for MTI. Chances are, one of our appearances will be in your area!